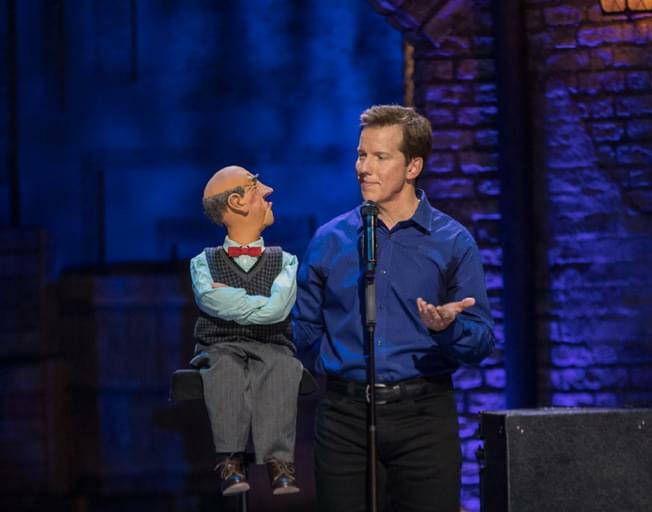 B104 has your LAST chance to win tickets to see Ventriloquist and comedian Jeff Dunham, tomorrow night, with the B104 Text Club! Superstar Comedian and Ventriloquist Jeff Dunham will be in Champaign at the State Farm Center TOMORROW NIGHT, and B104 wants to send YOU! Jeff has been named the Guinness World Record holder for “Most Tickets Sold for a Stand-up Comedy Tour,” he has over a million YouTube subscribers with over a billion views, comedy specials on Comedy Central, NBC and Netflix. Pick up your phone and text the word “PEANUT“ to 59457 and you will qualify to win tickets! We will draw ONE winner for a pair of tickets to Jeff Dunham just after 9am, so to text the keyword “PEANUT“ to 59457 for a chance to win tickets to see him in Champaign TOMORROW NIGHT, with Moe’s Southwest Grill and Bloomington-Normal’s #1 Country, B104!